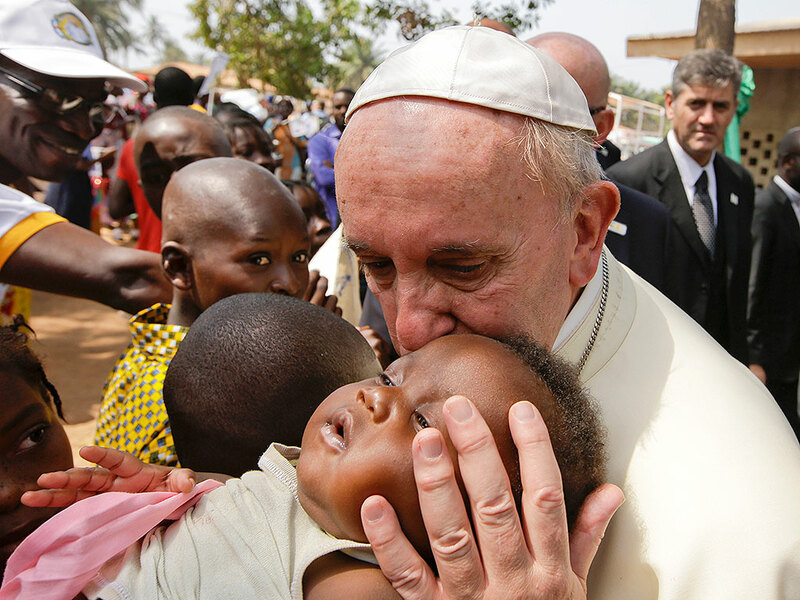 Catholic News World : Full Text Pro-Life Letter of Pope Francis "... promote and protect human life at every stage of its development, its condemnation of abortion and euthanasia as extremely grave evils..."
Full Text Pro-Life Letter of Pope Francis "... promote and protect human life at every stage of its development, its condemnation of abortion and euthanasia as extremely grave evils..."
9. Before all else, we need to enter into the language and lives of men and women today, making the Gospel message incarnate in their concrete experiences, as the Council demanded. To appreciate the meaning of human life, we should begin with the experience of procreation; this will enable us to avoid reducing life merely to a biological concept or a universal abstraction divorced from relationships and from history. The primordial reality of our “flesh” precedes and makes possible all further consciousness and reflection, preventing us from thinking that we are the source of our own existence. Only after receiving the gift of life, and prior to any intention or decision of our own, can we become aware that we are in fact alive. Life necessarily entails being a child, welcomed and cared for, however inadequately in certain cases. “It thus seems reasonable to see a connection between the care we have received from the beginning of life, that enabled it to grow and develop, and the responsible care we in turn give to others... This precious connection preserves a human and God-given dignity that endures, even despite one’s loss of health, role in society and control over his or her body” (Letter of the Cardinal Secretary of State to the Conference on Palliative Care, 28 February 2018). 11. Our shared humanity demands a global approach to the questions raised by the dialogue between diverse cultures and societies that, in today’s world, are in increasingly close contact. May the Academy for Life be a place for courageous dialogue in the service of the common good. I encourage you not to be afraid to advance arguments and formulations that can serve as a basis for intercultural and interreligious, as well as interdisciplinary, exchanges. But also to take part in the discussion of human rights, which are central to the search for universally acceptable criteria for decisions. At stake is the understanding and exercise of a justice that demonstrates the essential role of responsibility in the discussion of human rights and about their close correlation with duties, beginning with solidarity with those in greatest need. Pope Benedict XVI has spoken of the importance of “a renewed reflection on how rights presuppose duties, if they are not to become mere licence. Nowadays we are witnessing a grave inconsistency. On the one hand, appeals are made to alleged rights, arbitrary and non-essential in nature, accompanied by the demand that they be recognized and promoted by public structures, while, on the other hand, elementary and basic rights remain unacknowledged and are violated in much of the world”. Among those rights, the Pope emeritus points to “lack of food, drinkable water, basic instruction and elementary health care” (Caritas in Veritate, 43).